Harrogate Large Extending Table 4 Chairs is rated 5.0 out of 5 by 1. 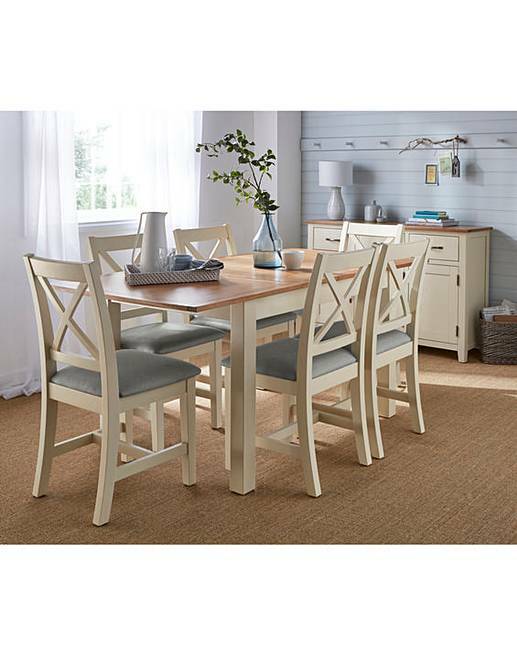 A beautifully finished country-inspired wooden dining range, that is a timeless accompaniment to any dining room. 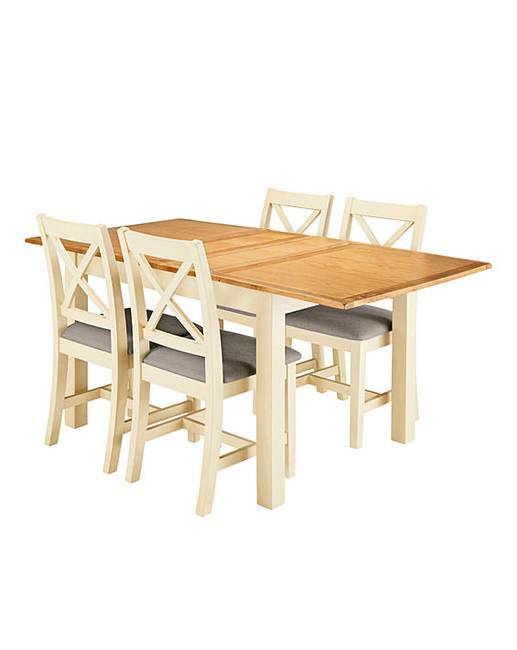 Save when you buy the Harrogate Two-Tone Oak and Oak Veneer 5-piece dining set. This dining set features the Harrogate large extending Dining Table, painted in a soft cream colour with a contrasting oak and oak veneer top. With hidden extention leaf, table can extend from L.120 to L.170cm. Complemented by 4 Harrogate two-tone dining chairs, painted in a soft cream colour with a cushioned seat pad upholstered in a light grey linen effect fabric. Rated 5 out of 5 by Deepa from Great feature I bought this about month ago and I am so glad that i chose this, so happy with the purchase.